One of the challenging aspects of endometriosis is the ever-changing nature of pelvic symptoms that are constantly presenting themselves. From dull aches, to deep pulling sensations to sensations that seem to run around the body, not only is it hard to find the vocabulary, but sometimes it can all change within a moment. What are these sensations? How can we find ways of managing them? Should we even be listening to them? It can be incredibly exhausting listening all the time, but perhaps with a supportive team of practitioners, friends, family and some space to listen, these sensations can provide us with insight on how to support our bodies. This is not an exhaustive list, but below I will discuss some of the most common types of sensations I hear about in my practice working with endometriosis. 1. Muscular: There are many muscles that can be impacted by endometriosis either by the strain of chronic pain, unconscious clenching, endometrial lesions or as a result of weak or tight muscles. Muscle pain is often described as achy or sore, sometimes radiating downward or around from front to back. 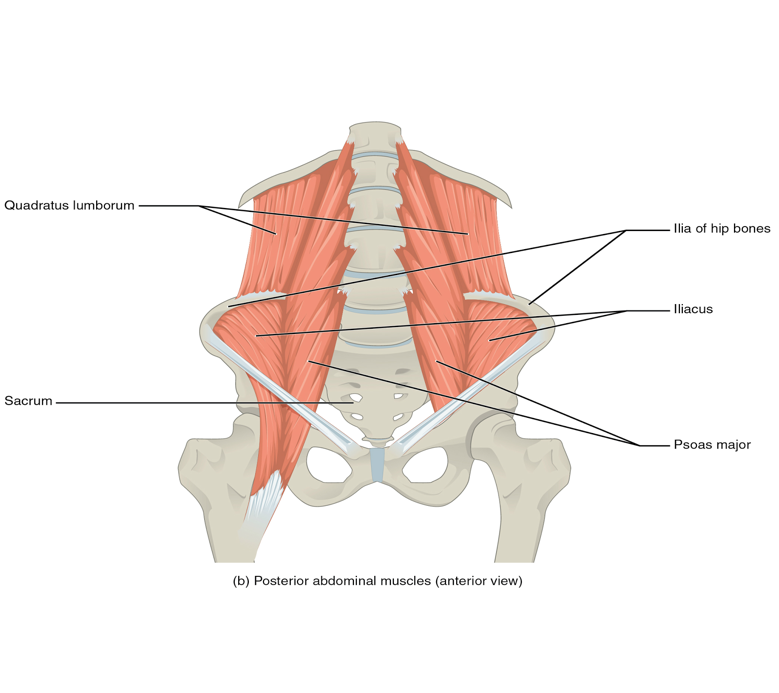 Two of the most important muscles when talking about the abdomen and back are the psoas muscle and the quadratus lumborum (QL) muscle. Lying on either side of the uterus, they play an important role in tension regulation within the pelvis. Tension in these muscles can often mimic uterine cramps and uterine cramps can cause tension in these muscles. How can I keep my QL and psoas happy? First of all, avoid carrying heavy things – especially on the hip – a few days before your menses. Try some gentle stretching the day before you usually experience cramps or the day before the start of your menstruation. If you experience chronic or recurring tension in your low back or hips, work with a practitioner to assess and treat these muscles. 2. Connective Tissue: Connective tissue surrounds organs and muscles and connects them to other parts of the body in highly adaptive chains that can be impacted by things such as surgery, lack of blood flow, chronic tension and reduced mobility. Connective tissue restrictions are often described as pulling, burning or sometimes deep/surface level tugging. 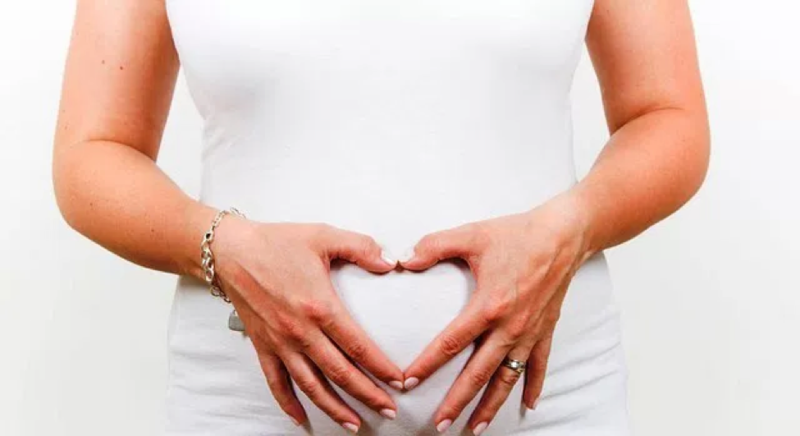 Other sensations that may indicate pain as a result of abdominal connective tissue restriction include feeling like it is difficult to breathe into the belly or a sensation of being bloated or congestion in the belly. How can I reduce uncomfortable sensations associated with connective tissue? To help reduce connective tissue tension, try holding stretches longer than a typical stretch routine by up to 5 minutes. Other important tools include deep belly breathing exercises and making postural changes to avoid slouching and sitting for extended periods of time. If you have had surgeries that may have led to scar tissue formation, work with a practitioner to reduce any restriction that may be causing pain. 3. Organ/Uterine: Most women have had the experience of feeling their uterus at some point. whether it be during menstruation, or perhaps during a Pap test or IUD insertion. Sensations associated with the uterus include cramping, sore throbbing low back, deep achiness or pangs. 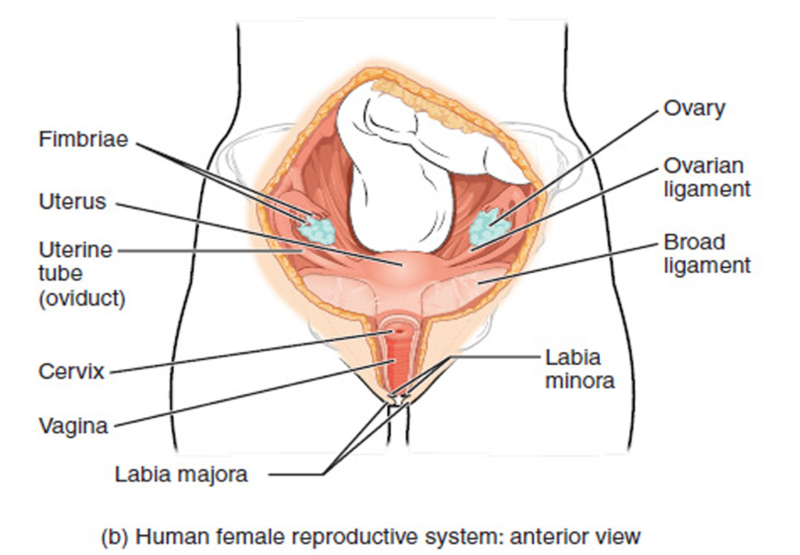 The uterus lies centrally in the pelvis below the bellybutton and above the pubic bone behind the bladder. It is suspended by ligaments and supported by the pelvic floor. The middle layer of the uterus consists of smooth muscles which allows for uterine contractions. In the non-pregnant state the uterus is about three inches long and two inches wide. How can you support your uterus during menses or cramps? Two days prior and during heavy menses avoid vigorous exercise that could contribute added stress on the surrounding ligaments of the uterus. During painful cramps try lying on your back with your feet on the floor and take 5-10 slow breaths into your lower belly. If there are any changes to vaginal discharge, smell and/or new strong sensations talk to your doctor. Try setting aside 5-10 minutes a day, preferably at the same time every day as this will make it easier to do so regularly. Create an atmosphere where you can feel comfortable. Try lying on your back, dimming the lights or lighting a candle to set your intent of being present. As you breathe in and out of your belly notice any sensations you may be experiencing. Try to stay with the sensations for a few deep breaths. Your only job is to listen. After a few breaths move on to other sensations. Try writing down a few words, images, colours or shapes to describe what you were feeling at the end of your practice to look back on later. If you need more support in this practice, find a practitioner that can help address these sensations and expand the tools available to you for self care.